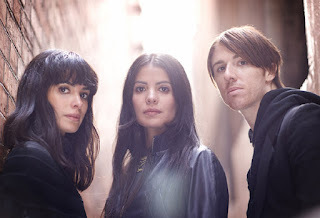 New York City indie rock trio, School of Seven Bells, performs tonight at Waiting Room. The band features former Secret Machines guitarist Benjamin Curtis. The dream-pop band has two albums under its belt, and is currently touring in support of the newest one, Disconnect From Desire. Tickets are $10, and Active Child is opening.